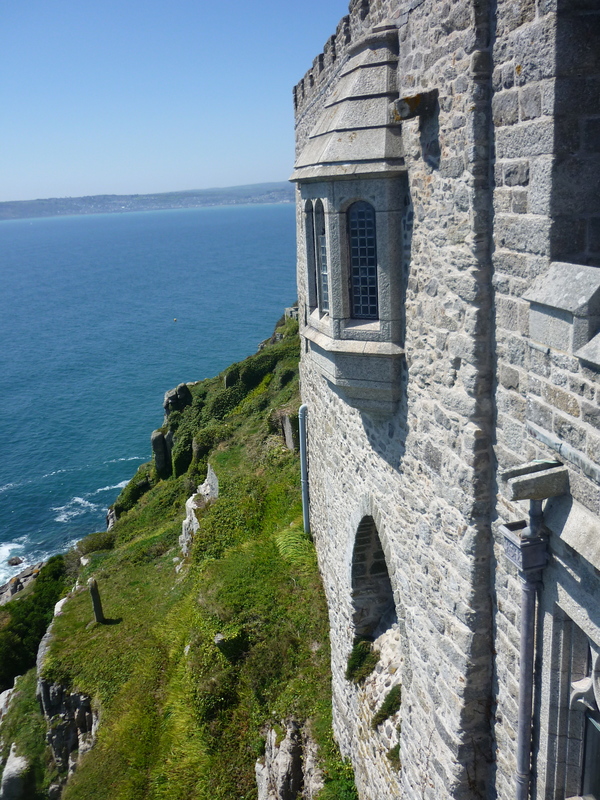 In Cornwall, England, you can find the most wondrous places. 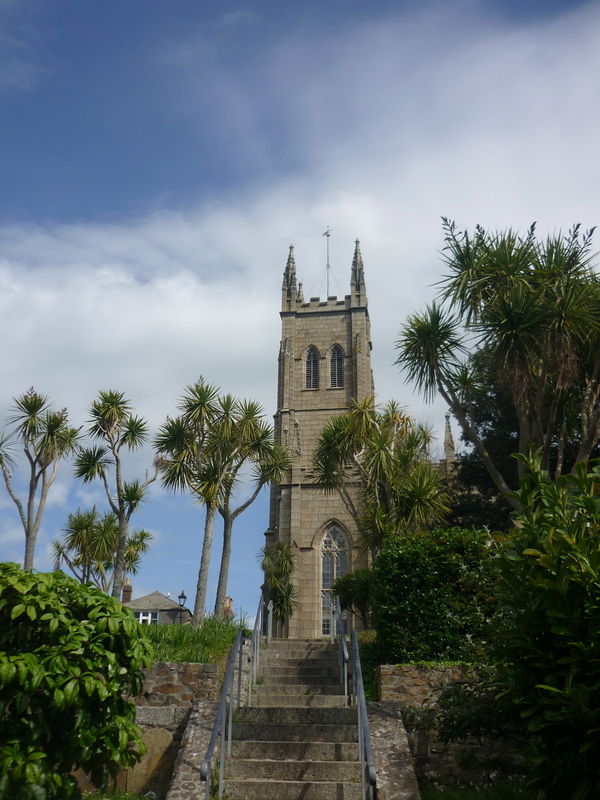 At the Southwestern most tip of the island that is Britain resides a town called Penzance. 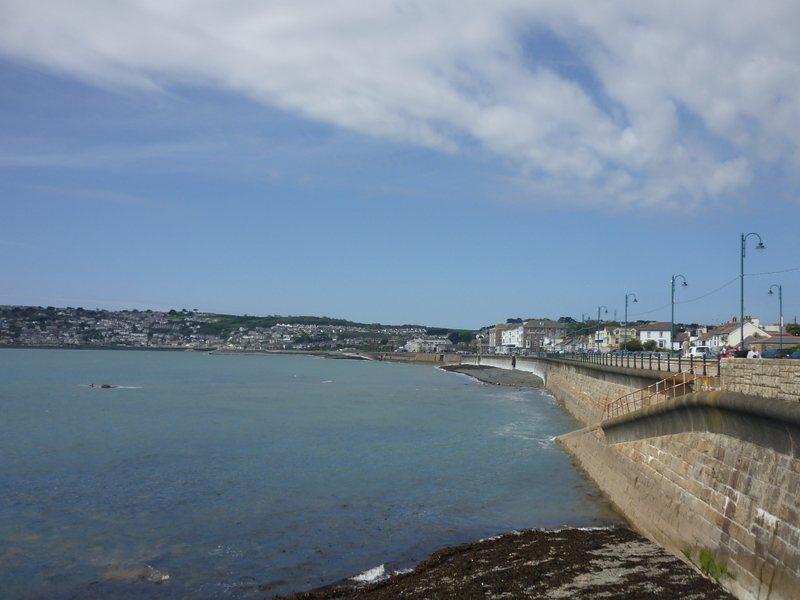 Larger than most seaside towns, Penzance lacks the dated and tacky tourist arcades and pseudo show-gardens like its smaller counterparts (for example, Exmouth, Dawlish and Teignmouth – more on them another time!). 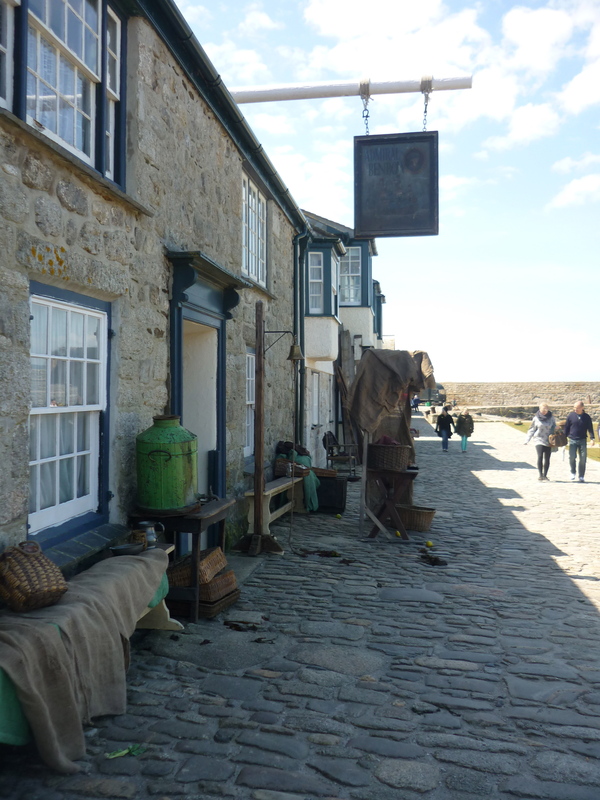 It has a more actually-lived-in feel, which I prefer to the ghosts of seaside towns past. 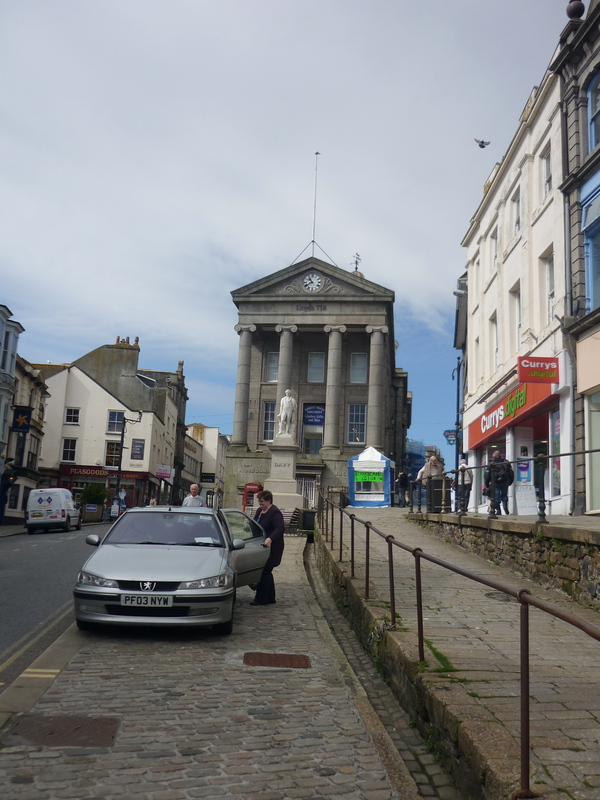 Penzance is a strange blend of English and ‘tropical’. There are palm trees everywhere! It’s an odd phenomenon. It felt wrong, but somehow right. And of course the beach was fantastic. Long and sandy, very characteristic of Southern England. High tide, so no beach at the moment! 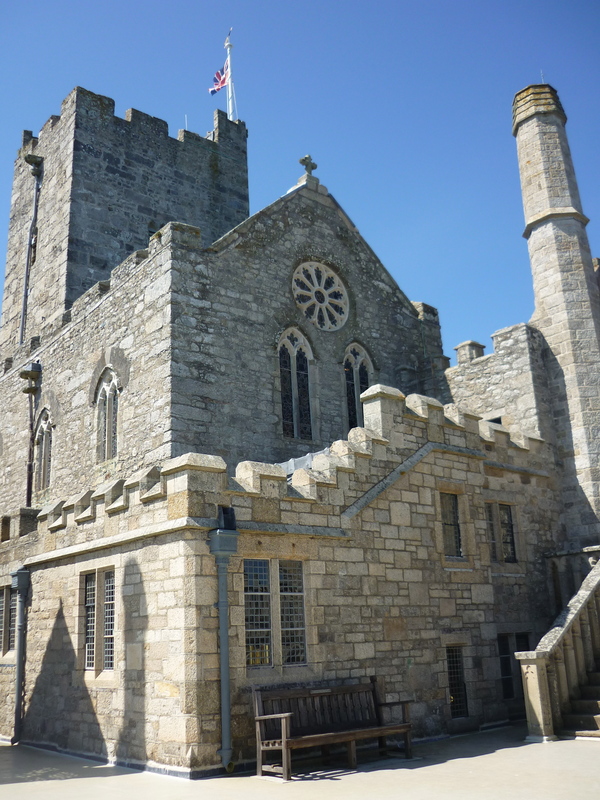 There is, however, something that makes Penzance extra-special. 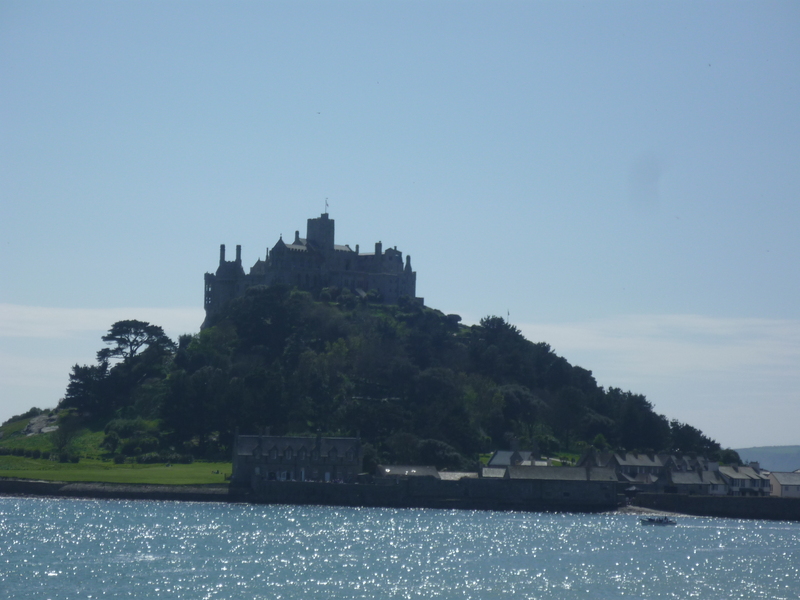 The next town over, called Marazion, is the home of the fantastic St. Michael’s Mount. 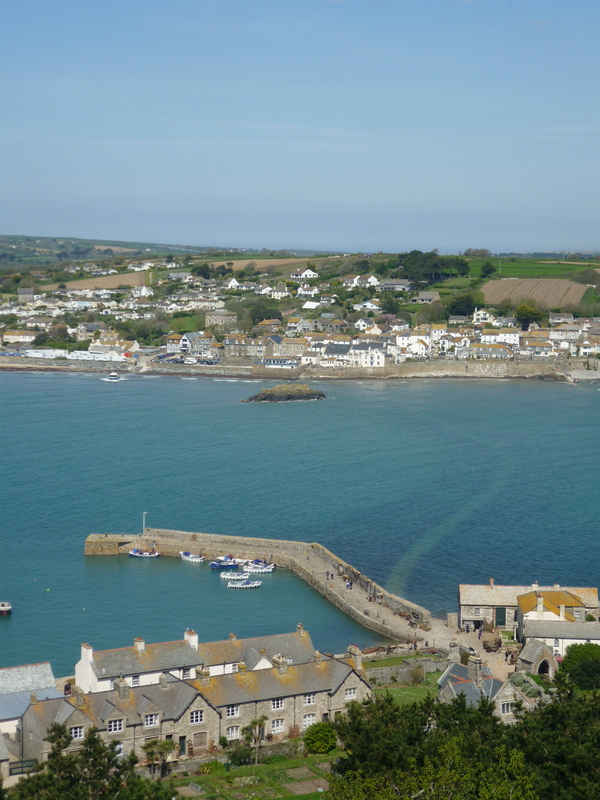 Marazion is within walking distance of Penzance – though I would recommend taking the bus if you are on a schedule! 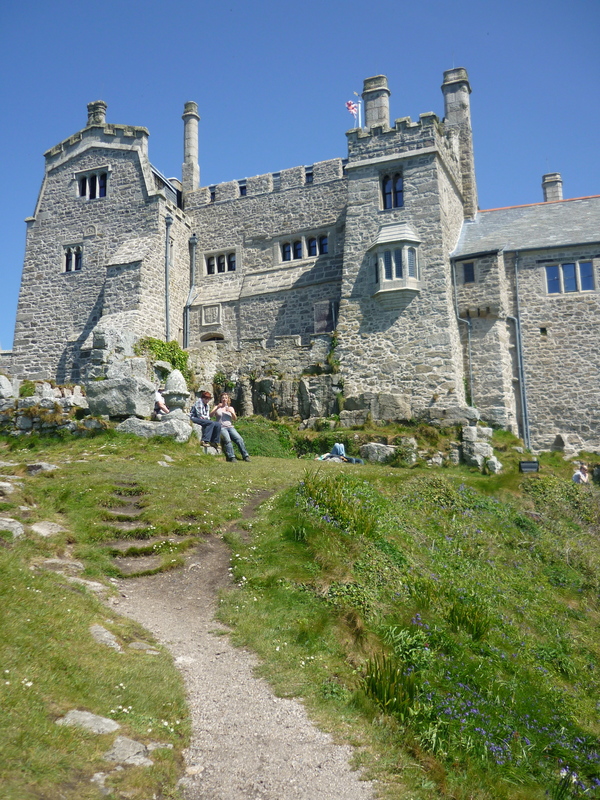 The Mount is another plateau (somewhat similar to Tintagel) that rises from the sea just off shore. It is accessible on foot at low tide via causeway. 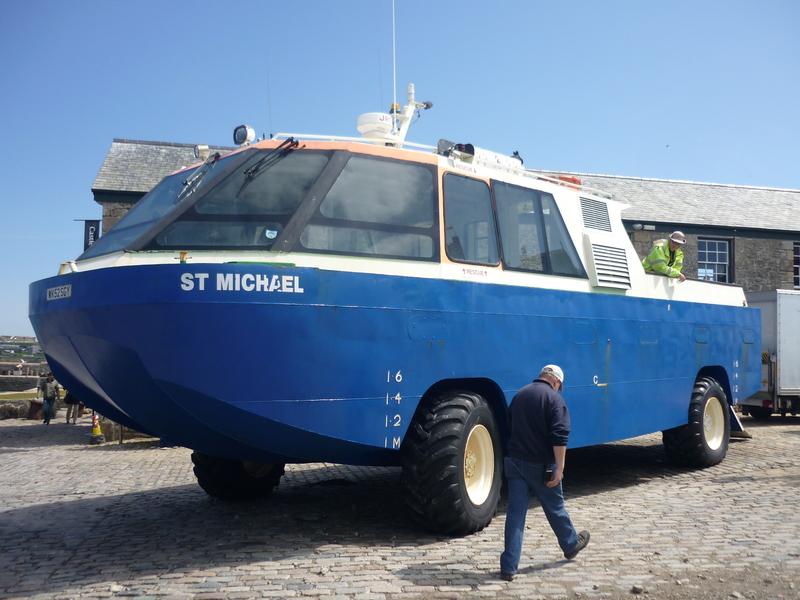 At high tide the only way out is by boat. Why would you want to go out there? 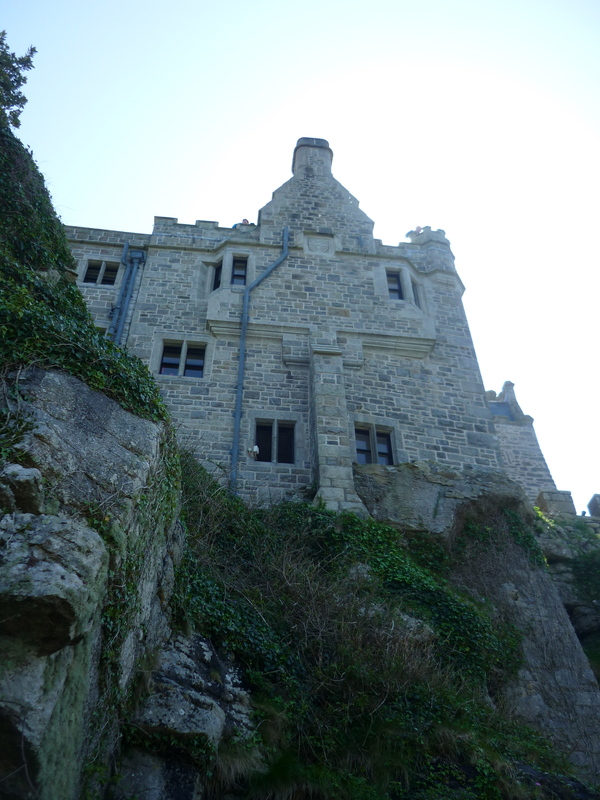 Because there’s a castle on it! 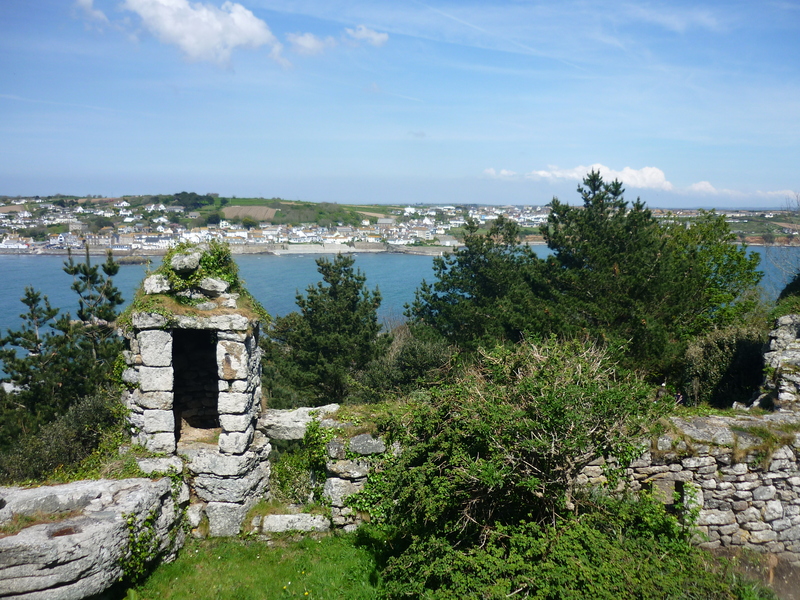 Due to its unusualness and its stark beauty, the Mount has been used for myriad things dating back to the 5th century, including army barracks, a monastery, and a wonderfully defendable castle. 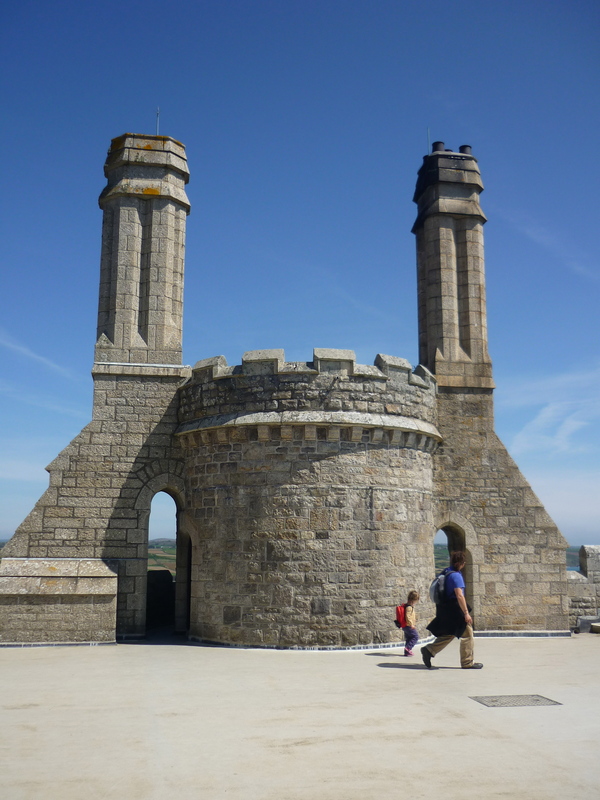 The views from atop the castle were stunning. You can see the submerged causeway! 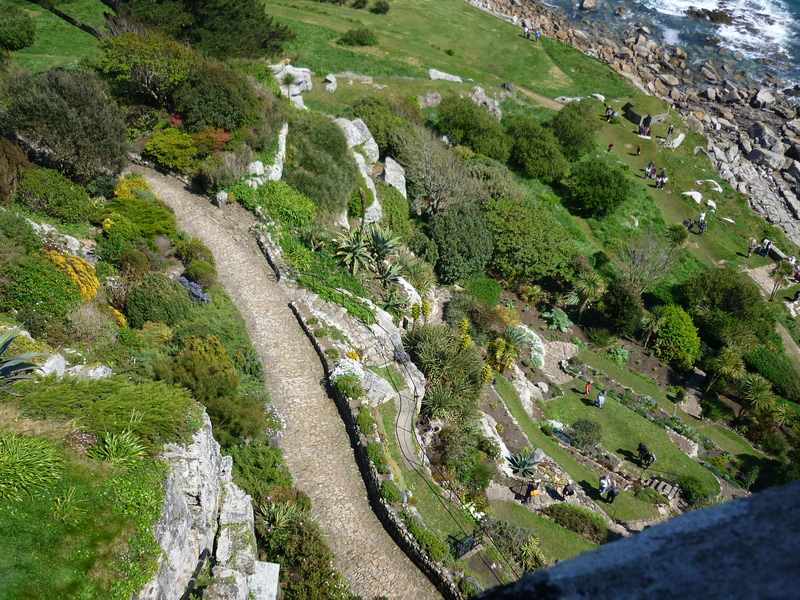 The gardens have a separate entry fee, which we skipped. 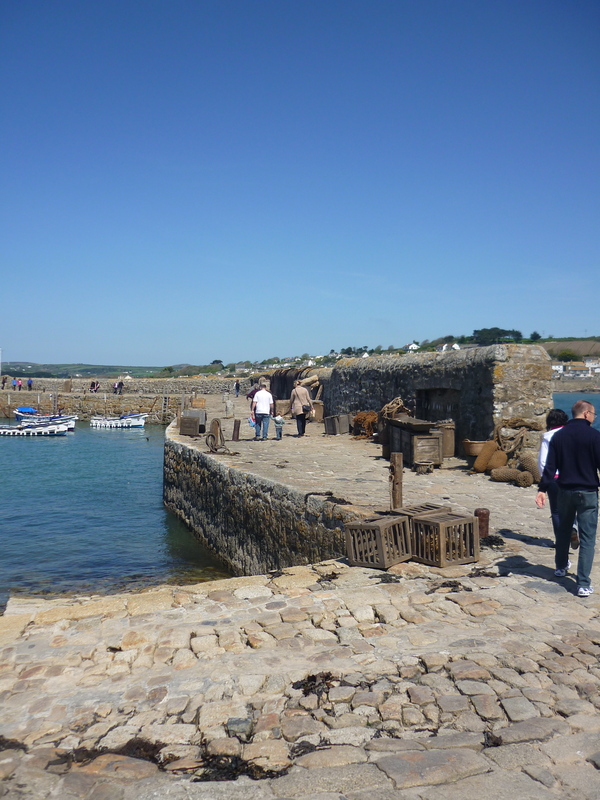 When I visited the Mount in the spring of 2012, they were setting up to film a movie called Mariah Mundi and the Midas Box which is due to be released in 2013…. 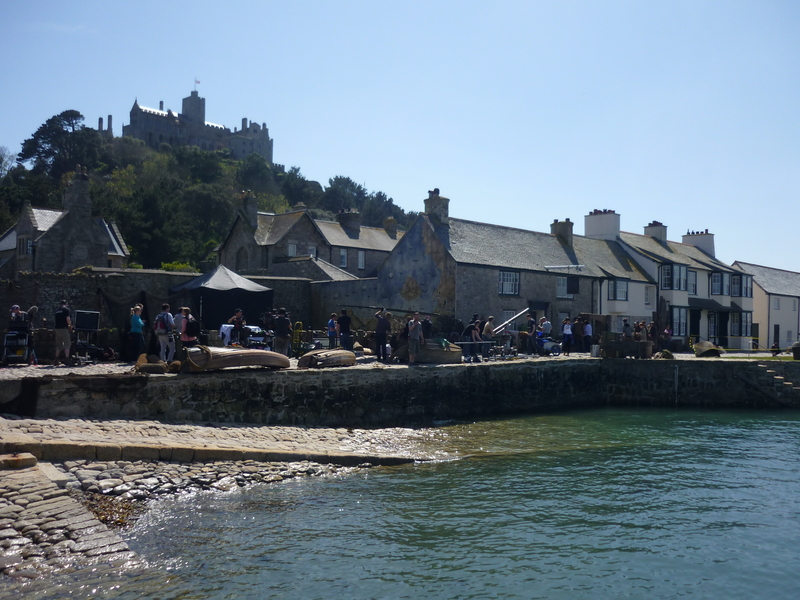 The coolest part about the filming was watching the amphibious bus/terrestrial boat ferry cast and crew back and forth from the set to the mainland. 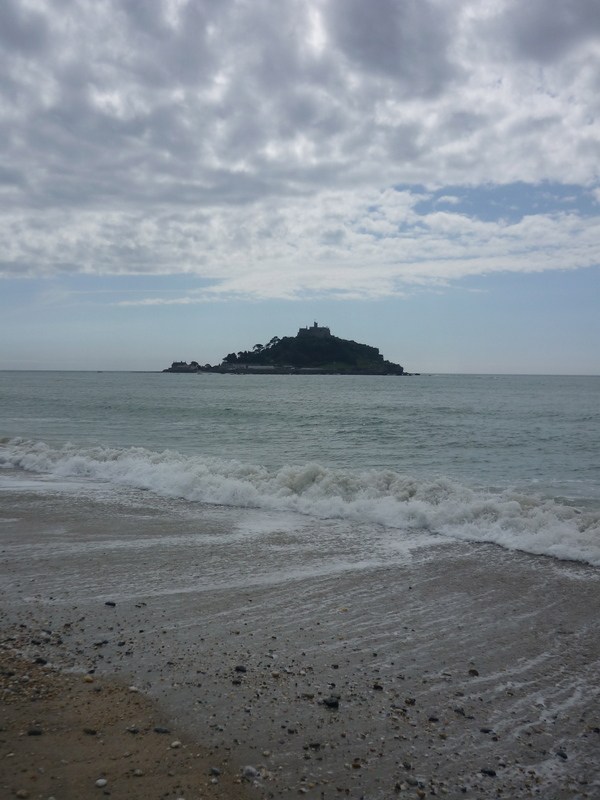 We were blessed with excellent weather for our day trip to Penzance, but I think that even with grey skies, this spot should be on the list for anyone travelling in the UK! 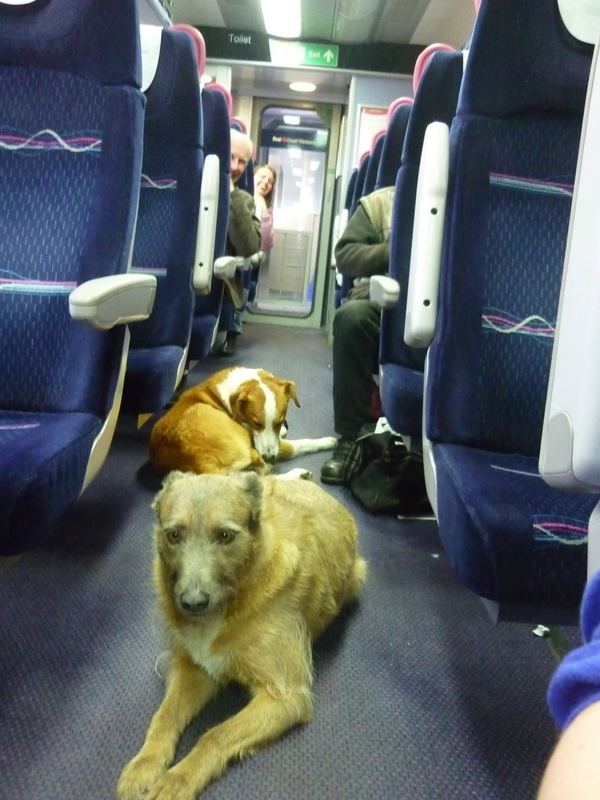 On the train-ride back to our home base, a man was playing harmonica and his dogs were singing along. Oh, Cornwall! !